The ees Europe exhibition and conference (14 – 17 May 2019, in Munich, Germany) is getting closer and closer and we are happy to offer our readers particularly exciting insights into the European energy storage market in the coming weeks. With Enerox GmbH, ees Europe is proud to present a strong Content Partner in the field of redox flow batteries. We asked Alexander Schönfeldt, COO of Enerox, a few questions. ees International: Can you introduce us to your company in a few sentences? Enerox, part of the CellCube Energy Storage Systems Group, manufactures and delivers since 1999 the market-leading Vanadium Redox-Flow Battery, well-known as CellCube. Enerox is based in Austria from where we delivered a total number of 135 installations, globally into all continents being operated between -35°C until +60°C at up to 100% humidity. This is where we gained all our experiences as essential part of our new product generation. ees International: For which applications do you recommend redox flow batteries? Actually flow batteries have the widest technical range of all batteries but every technology has its sweet spot. The CellCube is designed to commercially fit best for energy centric long-duration use cases in three areas. First of all it is best placed for Large Renewable Co-Location & Integration of Renewable Energy Sources right up to Renewable Baseload. Secondly can participate in the Reserve- & Capacity Markets, specifically if and when more than 2 cycles are needed for peaking solutions or merchant markets. And thirdly it is the perfect solution for DER & Microgrid applications when a mix of power, energy and grid-related capabilities such as (temporary) Off grid or UPS is needed. ees International: What is the business case for redox flow batteries? The business case of flow batteries turns into green when long duration, long lifetime or more cycles per day are required at large scale and the system can be co-located to renewable generation. We should not forget that all is about the cost of our energy supply and the best way to enhance and stabilize renewable power generation which has the lowest LCOE of all sources is to use the storage technology with the lowest LCOS. For industrial scale applications and under Business as Usual (BAU) conditions this can only be the Vanadium Redox-Flow Technology. And only Enerox is yet the company with that much project experience to scale into multi-megawatt. 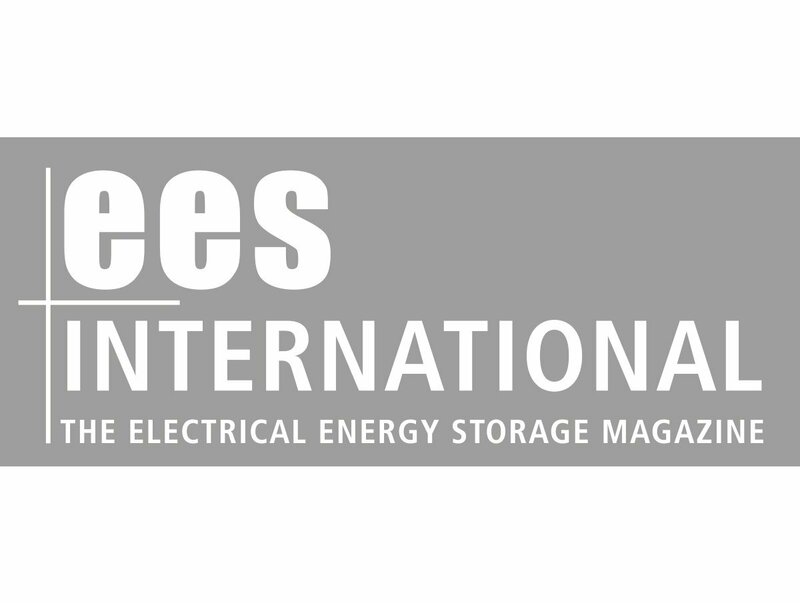 ees International: What is the advantage of redox flow batteries over other storage technologies? We recognize serious issues with regards to lifetimes, health and safety and environment. Therefore, we constructed a sustainable, non-flammable, non-explosive system with a lifetime of more than 25 years, stable to run more than 20,000 cycles at a real 100% depth of discharge. With its capability to operate at up to 200% of nominal power it is securing the most efficient usage of a storage system. Enerox is specifically happy to say that we have not yet even disposed 1 litre of Vanadium Electrolyte and thus augmentation is not a topic at all. ees International: Tell us about your personal favourite project (Best Practice)? My personal favourite is the CellCube system which was installed for E.ON on the island of Pellworm in Germany. With 200 kW and 1600 kWh, it was the core element in the local microgrid for sustainable energy supply. Optimisation of self-consumption for their 600 households, renewable baseload enabling as well as grid constrain management, the CellCube had a lot of jobs. In 2018 and after Pellworm had a sufficient grid connection E.ON decided to re-deploy the system in a Microgrid in Sweden. We easily decommissioned the system and delivered it to Sweden. Furthermore the site in Pellworm got fully refurbished back into a nature reserve condition and nothing from the battery was disposed. This is one perfect example for a real reusable energy storage system. Probably the first real reusable stationary energy storage system in the world.